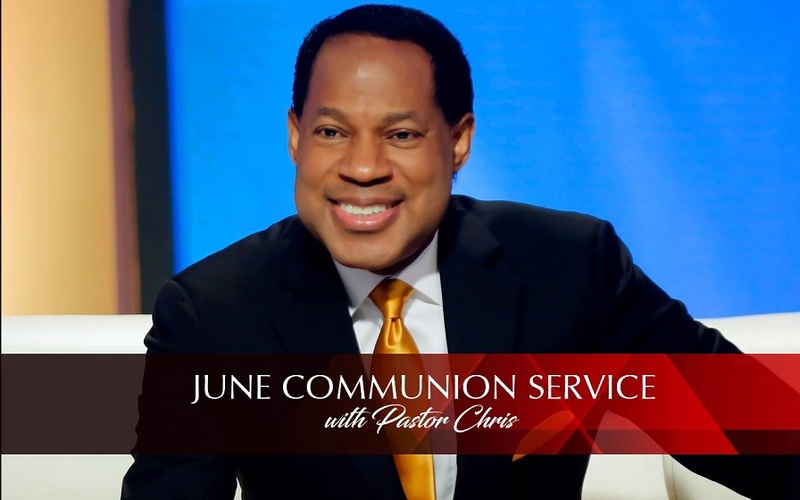 Pastor Chris networks the world with the Word yet again as multitudes join Communion Service. God's vision to take His divine presence to the people and nations of the earth is a pulsating drive for every event that comes out of the BLW Nation, particularly special assemblies like the Global Communion Service with Pastor Chris. Multitudes usually participate in tens of languages from every continent under Heaven in the monthly occurrence, and the June 2017 edition was not left out. Congregations around the world worshipped lavishly as inspiring LMAM artistes such as Eben ministered and prayed under the guidance of the Zonal Director, Lagos Zone 2, Pastor Vale Odu-Thomas. We relived stirring highlights of the LoveWorld Festival of Music and Arts, recalling the glorious 4-day extravaganza that took the world by storm in the month of April. Pastor Chris, flanked by esteemed Zonal Directors, Pastor Biodun Lawal and Pastor Deola Phillips, and the BLW Secretary-General, Pastor Kayode Adesina, shared an inspiring Question and Answer segment, providing Bible-based responses to inquiries from around the world. Pastor Chris Announces Word of the Spirit for June 2017: 'the Month of Prayer'! BLW citizens set to saturate the Heavens with prayers in the month of June 2017. A highly anticipated segment of the Global Communion Services with the BLW President, Rev. (Dr.) Chris Oyakhilome, is the declaration of the word of the Spirit for the month, ushering millions of congregants around the world into God's will for them, in accordance with His timing. At the June edition of the Global Communion Service, Pastor Chris announced, as is customary of every 6th month of the year since 2010, that June 2017 is 'the Month of Prayer'! The man of God, reading from Ephesians 6:18 emphasized that we will be praying with all kinds of prayers throughout the month. Pastor also outlined some of these types of prayer: the prayer of faith, the prayer of intercession, the prayer of agreement, and much more. "This month, I want us to stand in the gap for our nations, for our cities. Pray for your country," Pastor Chris said, also instructing the global congregation to join him in prayers every day of the month at specified times — 12noon and 10pm on Mondays, Wednesdays and Fridays; 10pm on Tuesdays, Thursdays and Saturdays. In the churches, time will be spent to pray on Sundays as well.